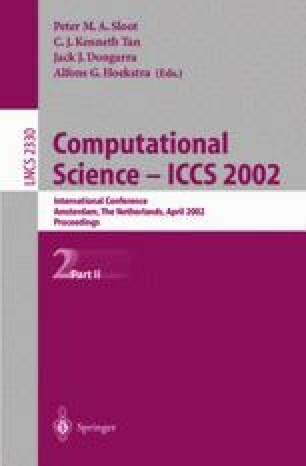 The high degree of computational complexity of atmosphere and ocean general circulation models, land-surface models, and dynamical sea-ice models makes coupled climate modeling a grand-challenge problem in high-performance computing. On distributed-memory parallel computers, a coupled model comprises multiple message-passing-parallel models, each of which must exchange data among themselves or through a special component called a coupler. The Model Coupling Toolkit (MCT) is a set of Fortran90 objects that can be used to easily create low bandwidth parallel data exchange algorithms and other functions of a parallel coupler. In this paper we describe the MCT, how it was employed to implement some of the important functions found in the flux coupler for the Parallel Climate Model(PCM), and compare the performance of MCT-based PCM functions with their PCM counterparts. Bettge, T., and Craig, A. (1999). Parallel Climate Model Web Page, http://www.cgd.ucar.edu/pcm/. Bettge, T. (2000). Community Climate System Model Next-generation Coupler Web Page, http://www.cgd.ucar.edu/csm/models/cpl-ng/. Craig, A. (2000). Parallel Climate Model IBM SP-3 Benchmarks Web Page, http://www.cgd.ucar.edu/ccr/bettge/ibmperf/timers.txt. Ding, H. Q. and He, Y. (2001). MPH: a Library for Distributed Multi-Component Environments, Users’ Guide. NERSC Documentation, available on-line at http://www.nersc.gov/research/SCG/acpi/MPH/mph_doc/mph_doc.html. Kauffman, B. (1999). NCAR Climate System Model (CSM) Coupler Web Page, http://www.ccsm.ucar.edu/models/cpl/. Pallas GmbH (2002) MPCCI Web Site, http://www.mpcci.org..
Valcke, S., Terray, L., Piacentini, A. (2000). OASIS 2.4 Ocean Atmosphere Sea Ice Soil Users’ Guide. CNRS/CERFACS Technical Note, available on-line at http://www.cerfacs.fr/globc/.